The new offerings are rich and stylish. For example, the picture at the top of the blog spotlights Mimosa K25. The light and clean colors of Mimosa soften the exposed brick. 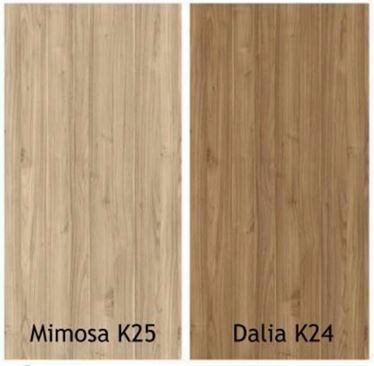 Mimosa and its counterpart, Dalia K24, are true to nature walnut colors. 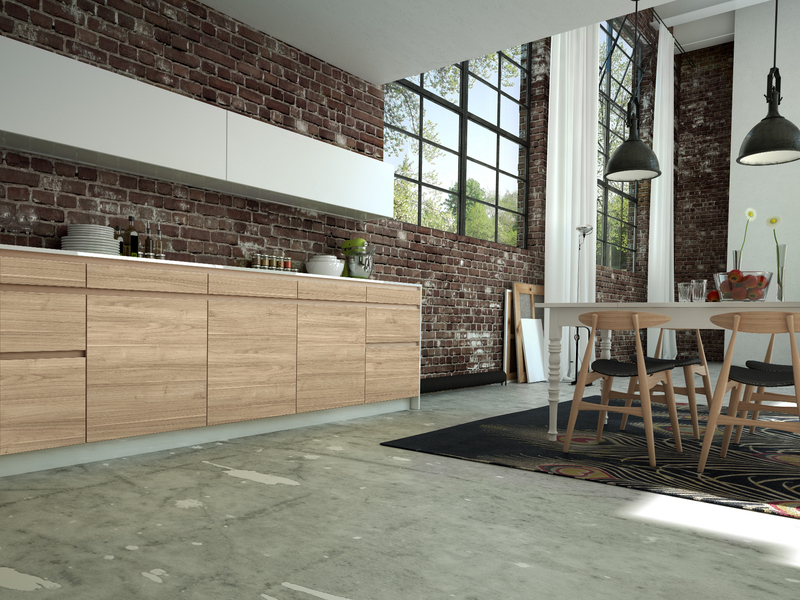 Dalia & Mimosa will be available in our 3DL Benchmark Collection. These colors are earthy – perfect for bold, contemporary spaces. All three are readily available in 3DL (thermofoil). 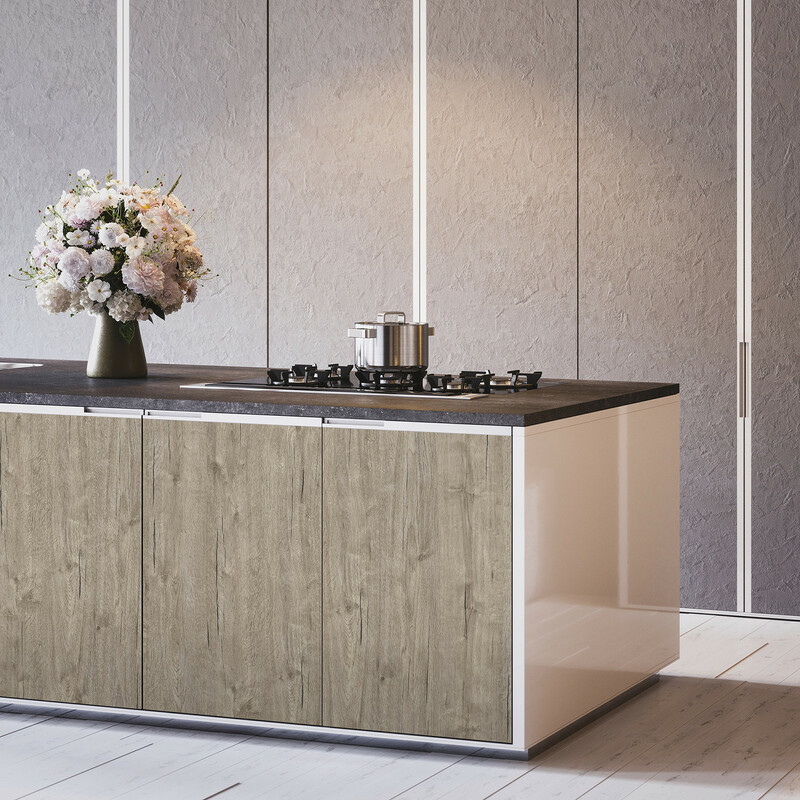 How about a complex, versatile woodgrain with a low gloss finish – well suited for many environments! Silverwood K06 adds texture to the island below. 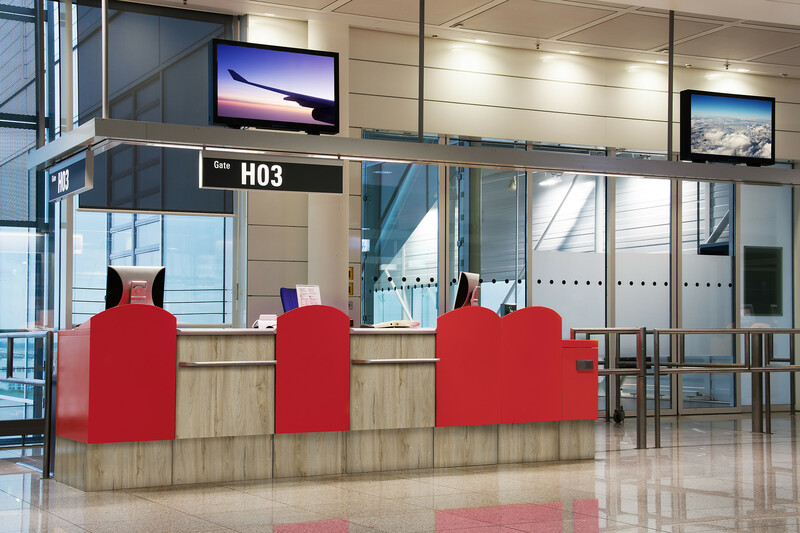 If you’re currently using Uniboard, JBC offers matches to many of the colors in 5 piece and 3DL (thermofoil). Please visit our website for an up-to-date list. We think you’ll agree, the finishes and colors are stunning. Which is your favorite? There are so many elegant and stylish colors; it’s difficult to pick just one!